February 8, 2019 – After 27 years, Scandia Amusement Park west of Los Angeles has ceased operations. The 8 acre park officially closed for renovations earlier in the week, but the park has since been sold and will not reopen. Scandia’s other two parks, in Victorville and Sacramento, will remain open. The Victorville park will get an upgrade as a result of the sale. Arcade games, along with some of the rides, will be relocated from Ontario up the Cajon Pass. In fact, the park’s Cliff Jumper drop tower is currently being dismantled for the 50 mile trip north. 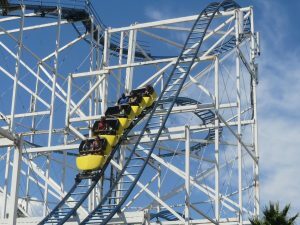 Almost a dozen of the park’s other rides have been put up for sale, including Screamer, the largest E&F Miler coaster ever built, as well as the Little Dipper, a Molina & Son’s kiddie coaster. 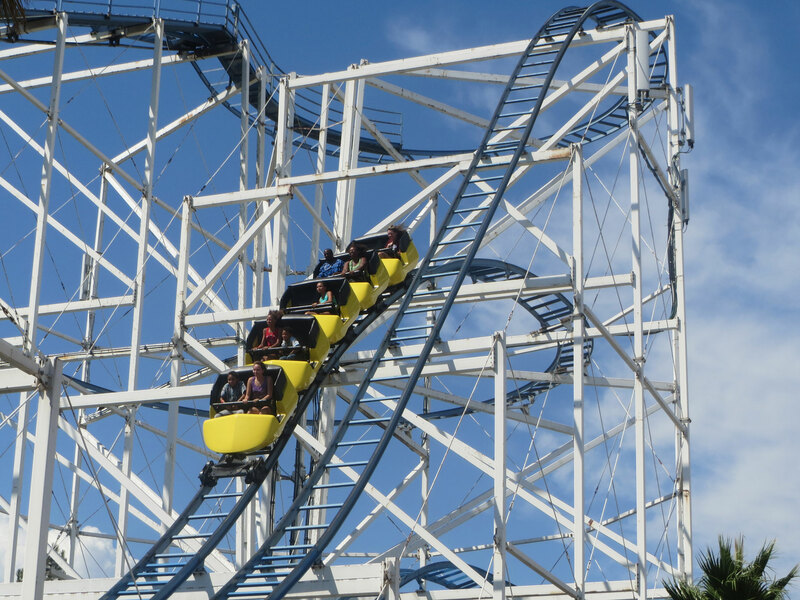 The park has been hit with small claims or personal injury suits every few years and all the suits filed in the past 10 years appear to have been settled, vacated or otherwise dismissed. Larson would not disclose the buyer and said he wasn’t sure what was going to happen with the property. “I do know it won’t continue as an amusement park,” he said. See what our members are saying about the sale and closure in our Forum discussion. This entry was posted in News and tagged Amusement Park, California, closure, Ontario, Scandia, Screamer, Sold. Bookmark the permalink.